A Tory MP sparked outrage today after accusing disabled victims of the bedroom tax of being “set in their ways”. 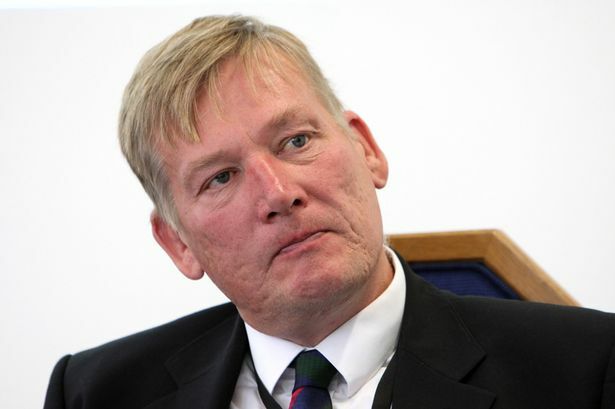 Housing Minister Kris Hopkins said some disabled people were having difficulty adjusting to the “cultural change” of how they spend their money. His comments to the Work and Pensions Select Committee were branded “shocking” by Labour MPs. In the Commons, MPs voted by 226 to 1 to back a ten minute rule Bill by Labour MP Ian Lavery calling for the bedroom tax to be abolished. Tory MP David Nuttall was the sole person to vote against the legislation with the rest of the Coalition abstaining. Mr Hopkins and Welfare minister Lord Freud rejected calls for the disabled in specially-adapted homes to be exempt from the tax which docks the housing benefit by £14 a week of anyone with a spare bedroom. Lord Freud revealed that 23,000 disabled people who need to stay in their adapted homes have been hit by the tax. But Mr Hopkins said some of them were having difficulties with the tax because they were “set in their ways” in relation to their spending. “There are vulnerable individuals, there are people who are set in their ways about the way that they spend and use their money,” he said to gasps of astonishment from MPs on the committee. Committee chair Dame Anne Begg said there was “real chaos” at the heart of the bedroom tax. Turning to Lord Freud, she said he had devised a policy “on a number rather and forgetting there are real people behind those numbers”. “There’s real chaos at the heart of this policy. You did not seem to realise there were real people behind this who can’t change behaviour because they can’t move as it is incredibly difficult to get an accessible house,” she said. Introducing his Bill, Mr Lavery said the bedroom tax was “in utter chaos”. “It doesn’t deal with problem of under-occupation. There isn’t enough smaller properties for people to move into,” he told MPs. “It has to be scrapped now,” he added. Although the majority of Tory MPs abstained in the vote, the Bill faces an uphill struggle to become law as it will only get limited Parliamentary time for further debate. This entry was posted in Uncategorized and tagged Bedroom tax, Debbie Abrahams, disability, Kris Hopkins, Tories, vulnerable. Bookmark the permalink. #ANS2014 says if he was disabled himself he might change his ways!